Do go to US if you want to watch good actors deliver a genuine horror movie. Do not go if you have a weak heart. I must add that I watched it alone in an empty theater and thought several times that I might not make it. That’s because a strong cast sets out to terrify us and succeeds. In 1986, an ordinary family sets off on a Santa Cruz beach vacation. We meet Adelaide, a reluctant Mom (Lupita Nyong’o) and Gabe (Winston Duke), a determined Dad. When we see four odd people holding hands across the driveway, we tense a bit and when that doesn’t scare the beach going family, we know the horror – or the fun, depending how you look at it – has begun. Our sympathy goes quickly to the reluctant wife as her family – now in the beach house – is invaded by another family armed with knives. No need to spoil things for you with the grim details, just to say that if you want a horror show, you’ve got one here. I don’t even risk overstatement by saying you’ll have two hours of shock and terror. A personal question: Why have I always been, and still am, scared of amusement parks? A dim feeling of danger and the sweat of fear would creep, uninvited, during the few times I went as a kid or as an adult. What is it about amusement parks that is so unsettling? The danger of a roller coaster? The dark of a narrow tunnel going certainly to even more danger? If you have any of those feelings you will be as scared as I was. The good news is that if you are a lover of horror shows, you will be rewarded with great pleasure because good actors deliver the requisite suspense. The best – or worst – part of all this is the periodic unleashing of loud, piercing, unexpected shocks that come with no hints of the impending doom. The actors – both adults and children – wrap their characters in imaginative cloaks of good and evil and that is the engine of the story. Who is good and who is bad? Because they are accomplished, they are able to level us with fear. 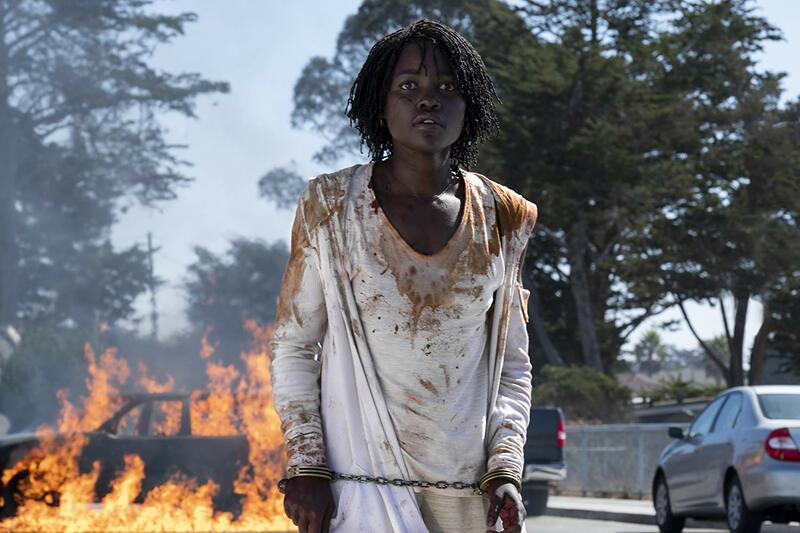 It’s not irrelevant to ask what in the wildest of all dreams led writer/director Jordan Peele to want to create this stew of horror. In talking with people who have seen it, people who love horror love this film. Those who don’t – like me – wonder about the why of it all. Isn’t life complicated enough without stewing in family horror? As I prowl through movie lovers who have seen it, I was amazed to hear all kinds of views, rooted in intelligence, that never once occurred to me. That could be because I had my hands over my ears much of the time. If you decide to risk it, one word of advice: do not, as I did, go alone. This review was posted on April 14, 2019, in Horror, Thriller. The title: Never Look Away. The length: three hours and eight minutes. You plan to skip it? For all that time I never once wanted to leave my chair and the whole film still runs quietly through my mind. Its length is part of the reason. It takes all that time to do for us what writer/director Florian Henckel von Donnersmarck intends while painting his portrait of an artist based on a leading German artist, Gerhard Richter. It is 1933 and the opening scenes set the horrendous tone of Nazi control. In an art gallery tour, the Nazi guide announces which paintings are good and which are bad. Kurt (Cai Cohrs), a small boy, is there with his aunt Ellie who feeds him the message of free expression while they walk through the art show under the shouted instructions of what they are to like or dislike. Ellie’s stream of free thought lands her in the hands of Professor Carl Seband (Sebastian Koch) who is heading the new sterilization program that will deal with unwanted women. 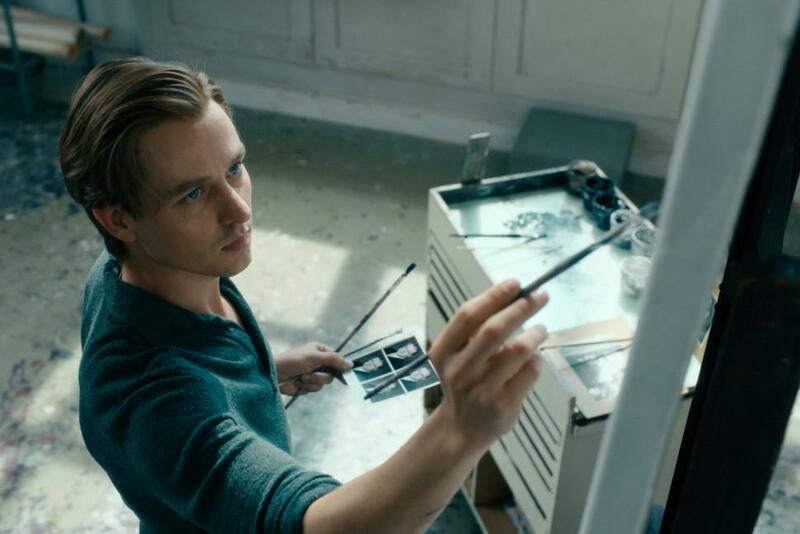 While the country is soaked with Nazi horrors, young Kurt (Tom Schilling) grows up knowing he will be a painter and we in the audience follow his search for his artistic core. The Nazi culture is utterly invasive but Kurt is embedded in his search for how and what he wants to paint. As history unfolds around him, we in the audience become fascinated with his personal quest. Though the realities of the Nazis abound, we follow Kurt as he searches for the focus of his great talent. He can paint, but what will he paint? That happens only after he moves from the artistically conservative Dresden to Dusseldorf under the prodding of his fellow artist friend. This is a story of a man in search of what he wants to create with his deep talent and we in the audience have become silent partners in his determination. Tom Schilling’s creation of the artist in search of himself is a thoroughly compelling mystery, deepened by his fine acting and the quiet way he moves through his confusion. It is deeply refreshing to follow an artist who is looking not for fame but to realize himself in the crushing times he and his family have lived through. Though many intriguing small plots and emotional entanglements abound, we are absorbed by this artist who reaches not for success but to record and explain the destroyed world that surrounds him. This review was posted on February 17, 2019, in Drama, History/Biography, Thriller.